When to update your website is a question that springs to mind for every business owner from time to time. Redesigning or updating a company website is no easy decision because it requires a lot of planning and researching. 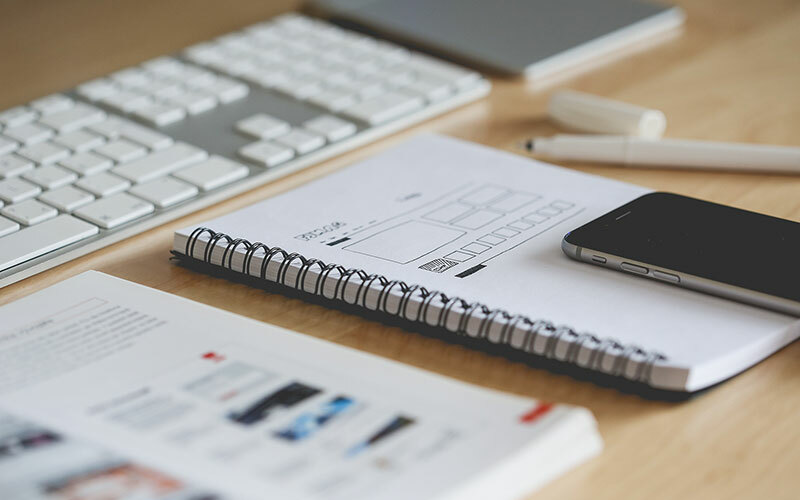 But there are a few signs and some major reasons that will make you go ahead with an update or completely redesign of your business website. If you looked at your website analytics and you noticed the trend of decreasing number of users, it is a clear sign that there is something wrong with your site. Of course, users can fall away for various reasons but digging into the problem is worth doing as obviously there is some kind of an issue. One reason can be that your users have found a better alternative. Better in terms of content, interaction and user experience. All these lead to lost sales. Doing a simple search in Google would show you how do you rank in search engines and compare your position with your competitors. Let’s imagine, you are selling natural cosmetics, you can quickly do a search in Google by using combinations of keywords such as “natural cosmetics”, “natural beauty products”, “natural ingredients” or something similar. The search results will reveal whether your business has a problem with ranking. A higher competitor ranking raises a red flag and the causes of the lower ranking must be investigated. Does your competitor do better SEO? Is their content marketing more adequate? Out-of-date design has a negative impact on the time users spend on your website. If you haven’t updated the design of your website, it is very likely that the design appears outdated. There might be even old-fashioned features such as disturbing pop-ups which frustrate the users. Old aesthetic puts off users and they unconsciously judge your product or service by the looks of your website. When unhappy, your visitors keep looking for a website which fits their expectations in terms of functionality and look and feel. Maybe it is time to start talking with professionals how to update visually your website? Even now, in 2017, there are still businesses that disregard the need of a mobile friendly website. Not having a responsive website has a great impact on ranking in search engines. An important issue is when your website has a high bounce rate. You can quickly check if this is the case with your site in Google Analytics. Having a high bounce rate indicates a real problem as it means that users land on your website and they quickly leave. There is something that puts them off at the very beginning. Unfortunately, there is no longer sufficient to have a website just to present some general info and contact details. Users check business websites to convince themselves that a product or a service is just for them and it is good enough. Bad website will influence them in the negative direction. Many businesses collect visitors’ information to be able to contact them via phone or email regarding promotions, new products or offers. Email marketing is very popular and still plays a major role in communication with your clients. Failing to persuade visitors to leave their (precious) contact information speaks about lack of trust. A good website is more persuasive and trustworthy. The subscribe form should be short and not take much time to fill in. Don’t ask for a lot of information because when you do so, users become suspicious. People hate being bombarded with intrusive phone calls and aggressive newsletters. So, you should make sure that you use contact information wisely and only when needed. Website content needs to be updated nearly as much as its design. With the widespread usage of the mobile devices (tablets & smartphones), people no longer concentrate for a long time to read lengthy body text. Moreover, the text must be formatted so it is easy to read even on the smaller of devices. It shouldn’t be neither too big or too small. Another issue is if the content takes too much time to load. Opting for visual content (videos, infographics and images) is beneficial for both website owners and users. It doesn’t matter if you have a physical shop which is operated by a friendly staff or you are selling products online. The rules are the same. Customers are reacting negatively both offline and online. If your staff is welcoming, customers are happy and they will pay another visit. This is how you are building relationships with complete strangers who have chosen to be your clients. You are gaining trust little by little. Same is with your website. If it is friendly and usable, visitors will become your customers. Building relationships online is hard and it takes time to make people trust you. People are quite skeptical towards online content. 81% consider a product endorsed by an ordinary user more trustworthy than one endorsed by a celebrity. Don’t forget that people communicate both online and offline. Friends and family members recommend products all the time as we share content, product and services from the ones we are closest to. Every visitor is valuable and you should strive to satisfy them as much as you can.